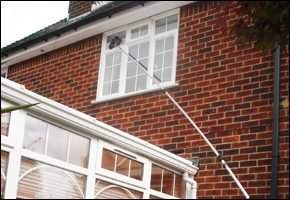 Window cleaning is a time-consuming and tedious job that many people refuse to perform by themselves. 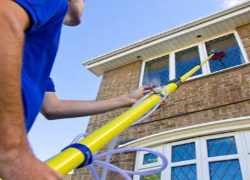 This is the reason why a great number of people clean their windows once or twice a year, for example, during spring when they carry out their big spring cleaning of the house. We also have a support team that is trained to answer your questions. Nothing is impossible for our office staff members and if you get in touch with them, you’ll see what we are talking about. They work 24/7 so don’t hesitate to give them a call no matter if it is day or night, just call. We can take care of your windows in no time. However, having dust- and dirt-free windows throughout the entire year allows more light into the room and improves the general appearance of the premises. So, if you’re struggling with this task, let us help you. Main Cleaners are professionals who know how to clean windows. Our company is situated in London and is very popular among citizens. We are trusted by many people because we have proved that we know what we are doing. We offer a quality workmanship and decent prices. Seriously, why handle this by yourself when our professional cleaners will do a much better job? After all, we are trained to clean windows and know what’s best for them. Aside from that, this job can be dangerous due to the height it often has to be performed at. The best part about our service is that we are available every day of the week. 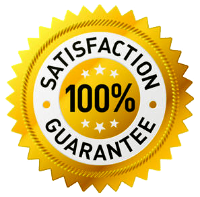 Plus, if you call us today, we are very likely to come within 24 to 48 hours to get the job done. Which means you don’t have to wait for weeks before the service can be carried out. We also have a support team that is trained to answer your questions. Nothing is impossible for our office staff members and if you get in touch with them, you’ll see what we are talking about. They work 24/7 so don’t hesitate to give them a call no matter if it is day or night, just call. We can take care of your windows in no time. © 2019 Main Cleaners London | London Cleaning Company. All Rights Reserved.